As Strong Guy makes a sacrifice in the pages of 'Uncanny X-Men', review his long and difficult past. These are strange and desperate times for the X-Men. Thanks to Nate Grey, A.K.A. 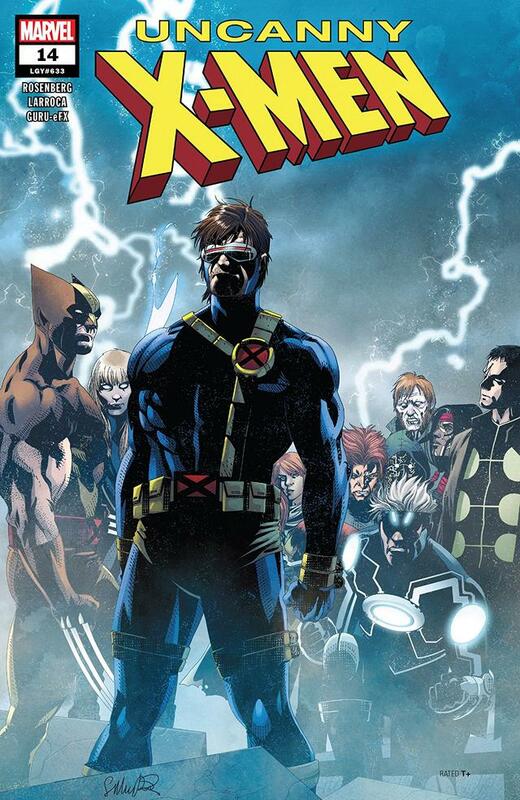 X-Man, the vast majority of the X-Men are missing and presumed dead. In their absence, the world has become an increasingly hostile place for mutants. But Wolverine and Cyclops came back from the dead just in time. Within the pages of UNCANNY X-MEN, these two heroes have rescued several of their former New Mutants protégés, including Magik, Wolfsbane, Dani Moonstar, and Karama—but saving their lives required a sacrifice. Guido Carosella, the mutant hero better known as Strong Guy, was forced to lay down his life to keep the X-Men alive. It’s not the first time that Guido has died, and it may not even be the last! Believe it or not, Guido’s association with the X-Men and the New Mutants goes back nearly 35 years. 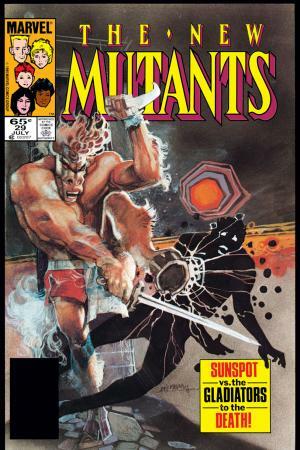 He made his debut as Lila Cheney’s roadie in NEW MUTANTS #29. Back then, Guido was just a supporting character, but he had a unique mutation; Guido’s ability to absorb kinetic energy gave him enhanced strength and distorted his upper body with an exaggerated muscle structure. In a world of Super Heroes, he looked like a living cartoon. Guido even took on a comedic persona to cover for the constant physical pain that came with his powers. Guido made occasional appearances until the MUIR ISLAND SAGA that brought the X-Factor team back into the X-Men fold. Since that left a void to be filled, Guido joined Havok, Polaris, Wolfsbane, Madrox, Quicksilver, and Multiple Man as the new team in X-FACTOR #72. That’s when Guido took on the Strong Guy codename, because he honestly couldn’t think of a better name. For a time, Guido really came into his own as a member of X-Factor. Outside of Cheney’s shadow, Guido finally had a life of his own. Unfortunately, the physical cost of his powers put Guido’s life in danger. In X-FACTOR #111, Guido saved Cheney’s life from an explosion, but he absorbed so much energy that it gave him a massive heart attack. That was largely the end of Guido’s heroic career for the better part of a decade, but he did get his own one-shot in 1997. STRONG GUY REBORN #1 was the closest that Guido has ever come to being a star. 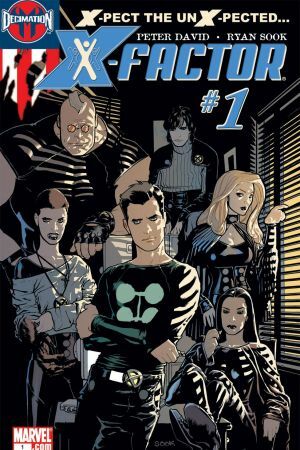 Nearly a decade later, Guido returned in X-FACTOR #1 as a member of Madrox’s new team of mutant private investigators. During that time, Guido developed romantic feelings for his new teammate, Monet St. Croix, A.K.A. "M". Unfortunately, Monet didn’t return Guido’s feelings and he died while on a case. However, his death was short lived, thanks Layla Miller. Her mutant power is the ability to bring anyone back to life. But the price was steep...and it robbed Guido of his soul. And without his soul, Guido simply wasn’t the same person. When Monet lost her life, Guido fulfilled a prophecy by murdering Wolfsbane’s son, Tier. In X-FACTOR #256, Guido’s ultimate sin transformed him into the new lord of Hell, which in turn gave him the power to resurrect Monet. Surprisingly, Guido’s salvation from that fate came in the form of the Thunderbolts. Mephisto tried to get the team of anti-heroes to take out Guido and restore him to power. Instead, they convinced Guido to turn away from his dark path and regain his lost soul. 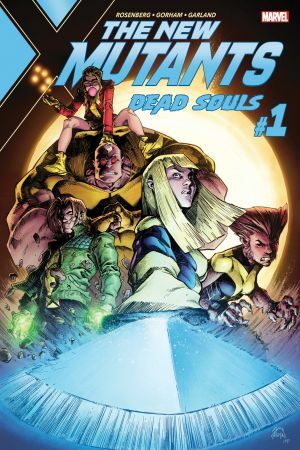 Last year, Wolfsbane and Guido were reunited in NEW MUTANTS: DEAD SOULS, as members of Magik’s latest team. This ultimately gave Guido a chance to apologize to Wolfsbane and beg for her forgiveness. But shortly after that moment of grace, Guido once again suffered a fatal heart attack. To save his life, Magik allowed him to be infected by the techno-organic virus. Finally, in UNCANNY X-MEN #12, Wolverine and Cyclops discovered that the government had imprisoned Magik’s team and experimented upon them. Guido’s techno-organic body was even integrated into a Sentinel. For a few precious moments, Guido fought alongside the X-Men to save the rest of the imprisoned mutants. But he was forced to sacrifice himself once again when a bomb nearly took out the team. It was a heroic feat worthy of the X-Men, even if he was never actually a member of the group. This may not be the end of Guido’s story. His body remains in the custody of General Callahan, the X-Men’s latest adversary. That tale is continuing to unfold in UNCANNY X-MEN, which is available through Marvel’s digital outlets and comic stores across the country. Read UNCANNY X-MEN #14 at your local comic shop now!